If your looking to purchase gondola shelving at First you will have to purchase a "STARTER SET". This will be the first 4' section of gondola shelving. 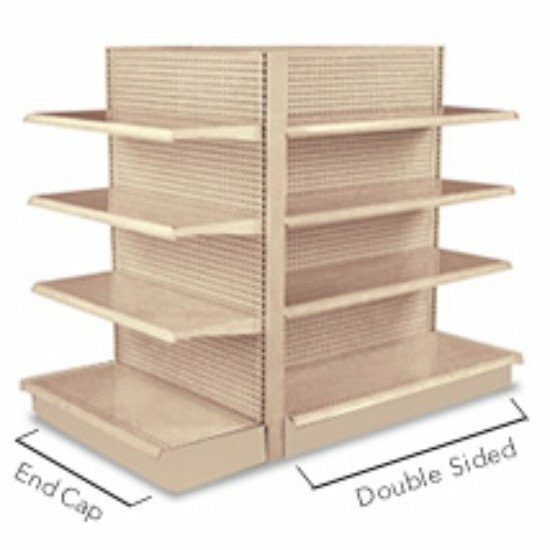 If you only need 4' of shelving then you are set. If you need a longer row then after this purchase yourself an add on section. The starter set is a complete 4' section. This is capable to stand on its own, where as a Add on section is not. If any help at all is needed in this process, please call us on the phone. We are happy to help.